Andy Murray: Withdrew from Washington and Toronto tournaments to aid comeback. Andy Murray will prioritise rest before beginning his preparations for his next tournament in Cincinnati in just over a week. The three-time grand slam champion pulled out of the Citi Open ahead of his scheduled quarter-final clash with Australian Alex de Minaur in Washington on Friday night. 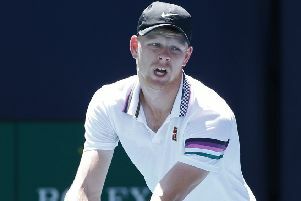 The former world No 1 cited exhaustion for his decision following a gruelling week that had seen him taken to three sets in all three of his matches and spend more than eight hours on court. The 31-year-old, who only finished his third-round win against Marius Copil at 3am on Friday morning, said in a statement on the ATP website: “I won’t be able to play my match tonight. I’m exhausted after playing so much over the past four days, having not competed on the hard courts for 18 months. Tournament director Keely O’Brien had earlier caused controversy with comments to the Washington Post encouraging Murray to play. With Murray regarded as one of the great fighters in tennis, and given the delicate nature of his recovery from hip surgery, the comments seemed particularly ill-judged. Neither Murray nor his team have responded publicly but it is understood they were distinctly unimpressed and have made their feelings known. O’Brien struck a different note in an official statement following Murray’s withdrawal, saying: “I am so grateful that Andy, an incredible champion, came back to D.C. to begin what we all know will be a great comeback.